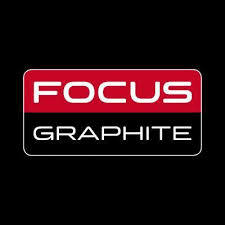 Focus Graphite Inc. (TSX-V:FMS) announces today that it has closed its previously announced equity financing. The Company closed the Offering in two tranches as announced on December 11, 2018 and January 14, 2019. In total, the Company has raised gross proceeds of $1,275,000 and issued a total of 25,500,000 Flow-Through Shares under the Offering, which Offering remains subject to the final approval of the TSX Venture Exchange. Focus Graphite Inc. is an advanced exploration and mining company with an objective of producing graphite concentrate at its wholly-owned Lac Knife flake graphite deposit located 27 km south of Fermont, QuÃ©bec. In a second stage, to meet Quebec stakeholder interests of transformation within the province and to add shareholder value, Focus is evaluating the feasibility of producing value added graphite products including battery grade spherical graphite.